It’s nice to have resources like this when you (the kids) need the resources! Anyone who tries to follow a strict gluten-free diet knows how difficult it can be to take a trip outside the home. 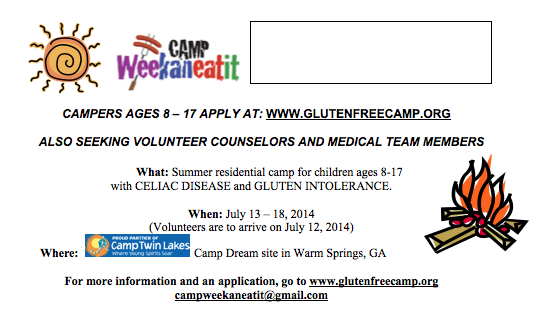 This camp lets kids enjoy camp without the worry about the next meal or snack. Spread the word!